Skin Fair has started again and to be completely honest, I am a bit disappointed with the lack of love for the LeLutka heads! But yesterday I showed you the lovely Bianca by Murray, and today I am a happy camper wearing League‘s newest LeLutka skin, Alessa. Alessa even comes in 2 versions included, to work best with the various LeLutka heads. I am wearing Alessa A on my Simone head. 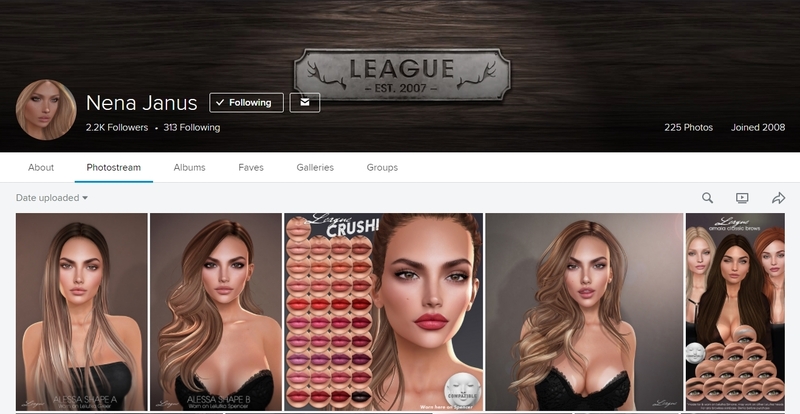 League’s Nena has modeled Alessa on Greer and Spencer for the vendors.